Revenge. Payback. Blood for blood. After years of nightmares, this might be Markus’ chance to even the score. Yes, another new short story for you. This one’s called For Blood, and you can read it here. What makes a book ‘new’? We are always looking for something new. Visit just about any bookstore, and you will be confronted by shelves and displays of new books, by big-name or debut authors. Even on the digital bookstores, there are ‘new and noteworthy’ banners. Sometimes, the new titles take us by surprise‌—‌we see a book that catches our eye, even though we were not previously aware of it. At other times, we eagerly await the new release from a favourite author. Just think how long fans have been anticipating the new George RR Martin title. Think back to the queues at bookstores in the middle of the night when the newest Harry Potter book was released. But what does ‘new’ really mean? I recently read Stephen King’s 11/22/63. The book was released in 2011, so it’s not a ‘new’ title. But I hadn’t read the book until now. As I read it, I was absorbing the story for the first time. It might not have been a new release, but it was a new book to me. The same could be said for many books. I wasn’t born when Tolkien’s Lord Of The Rings was published, but when I read it as a teenager, the book was new to me. And somewhere, someone else is experiencing Tolkien’s book for the first time. Elsewhere, another reader is discovering Isaac Asimov or Robert Heinlein. Someone has just picked up their newly-acquired copy of Mary Shelley’s Frankenstein. Another reader has now reached the end of Tolstoy’s War And Peace, and someone else is looking with interest at a writer they have not yet tried called Jules Verne. Books written over a hundred years ago, yet they are still being discovered today. Old book, but also new. And now, we have access to so many more old books that can be new to us. Before e-books took off, the main way of getting a new book (new to you as a reader, not a new release) was to visit a bricks-and-mortar store. And these stores wanted to stock what was more likely to sell, so of course they pushed ‘new releases’. They also stocked back-catalogue titles from big-name authors, and a selection of ‘classics’, but it was the new releases that they focused on. Of course, not every new release sold well. Many titles had their few weeks being touted as the next must-read before all the unsold copies were returned to the publisher. Some of these turned up in ‘remainder’ stores, and some copies found their way into second-hand stores, but many were pulped. And they still are. In the high-street physical books game, new release periods are vitally important. A book that doesn’t ‘make it’ in those first couple of weeks has failed. But it’s different on e-book stores. There is no limited shelf space, and these stores can happily stock millions of titles. They use search engine AI to show titles that might be of interest, so the potential reader doesn’t have to walk up and down shelving. And that changes things. Now, an old title can become ‘new’ for a second, or even third time. This happened with Hugh Howey’s Wool series. It became one of those overnight-success novels, even though it had started as a fairly low-key short story, and had grown over time. Andy Weir managed something similar with The Martian‌—‌a story serialised on his web-site, then an independently-published e-book, it only started getting a large audience when he released the audio book. It got noticed by people involved in the film industry, and suddenly it was a big-budget film based on a ‘new’ book by a debut author. And, of course, it was a new book to everyone who had not yet read it. There are millions of books out there. And that means there are millions of new reads, just waiting to be discovered. They might have been written this year, or a couple of hundred years ago. But that doesn’t matter. They can still be discovered. And as readers, we can enjoy new stories for as long as we desire. A new short story for you. I’m not going to say too much about the story itself, but the idea for it stared when I was on a night ferry surrounded by mist‌—‌my mind started wondering what was hiding out there, and what secrets might be on the ferry itself. The ideas bounced around for a couple of hours, and later, on my bunk in the small cabin, I tapped away on my phone to get the first draft down. Some editing later (on both phone and laptop), and Crossing is now on the site. You can read the story here. Are reading and writing really solitary activities? Both writing and reading are solitary activities‌—‌the writer hidden away in a dark room, tapping away at a keyboard as their imagined worlds pour out; and the reader in a secluded space, diving into those created worlds. Both are ‘introvert’ activities, forgoing any need for social interaction. At least, that’s the obvious impression. But I don’t think this is the complete picture. I think that there’s a social angle to both writing and reading. These thoughts coalesced after I received an e-mail from someone who had read my free book, Dark Glass, and was writing to tell me how much she’d enjoyed it. It had a great impact on me. I was incredibly pleased that someone had connected with something I’d written, of course, but I was also very thankful that she’d not only downloaded the book (from the plethora of free books that exist), but that she’d also read it, enjoyed it, and taken the time to contact me. And it made me think about why I write. I’ve often told myself that I write for pleasure, and that I’d carry on even if nobody read anything I write. There’s something wonderfully escapist in all the planning, there’s the exciting rush of first-drafting as those plans come to life, and the slow, steady moulding that is editing is possibly the most rewarding part of the whole process, where those initial ideas finally become a fully-rounded story. While all this is true, it’s not the whole truth. This might describe the process of writing a story, but a story is not the same as a book. Once I’ve taken the story as far as I can, I’ll pass it on to an editor, and make further adjustments based on their comments. I’ll spend time formatting files so that the e-books look good. I’ll hire a cover designer. And then there’s the whole area of marketing and promoting, which I’m constantly learning more about. I look for ways to get this book in front of potential readers. 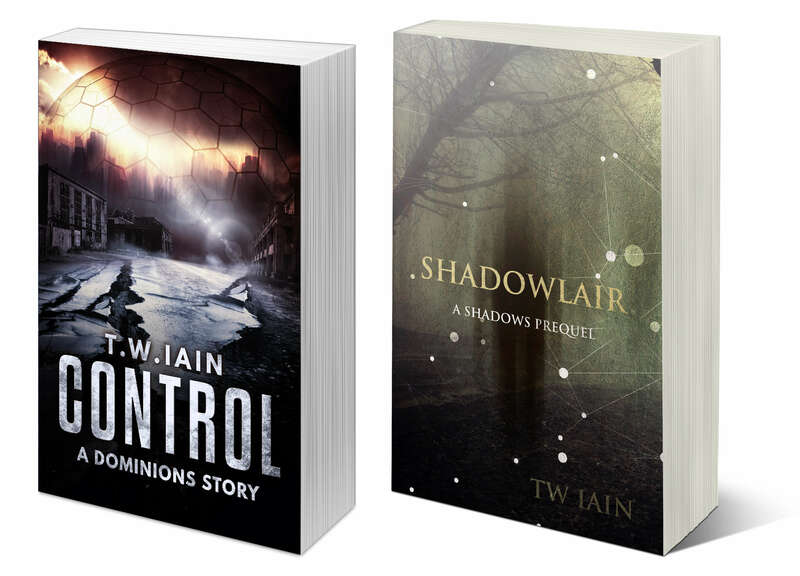 I have a mailing list with free, exclusive books. I post a short story on this website every two weeks, and link to it via social media. I do what I can to reach possible readers, and I’m excited each time one of my books is downloaded, be it free or paid for. When I say I’m not too bothered about others reading my books, I’m deluding myself. All this extra work proves it. The cover is there to attract potential readers. Editing and formatting help make the reading experience as good as it can be. And of course I want my stuff to be read‌—‌why else would I be looking for ways to reach more potential readers? Some of this is for validation‌—‌no matter how good I feel a story is, only when others read it (and comment on it) will I know if it ‘works’. But there is also the need to share. I’ve enjoyed creating this story, I believe it’s the best I can make it (with, of course, help from others), and I want others to enjoy it as well. After all, stories that are kept private are only dreams, but to live stories need to be shared. There is also the desire to improve as a writer. I am determined to make the books I write in the future better than the ones I have already written. I want to be embarrassed by my writing from a few years ago. For that to come about, I have to develop, and one important way of developing is to receive feedback. This could be positive, so that I can replicate what’s working well, or it could be constructive criticism, so that I am made aware of weak areas. So as a writer I want to share my stories with others. But what of those readers? Where does social contact intersect with solitary reading? The most obvious way is in reviews. Not very many readers leave reviews, and the ones that do can range from a couple of words to in-depth reports. Some are positive, some are negative, some are critical, and some are simply indications of likes/dislikes. But they are all communication, passing on the readers’ thoughts to other potential readers, either encouraging them to get a particular book or warning them to stay away. And some of these reviews themselves spark comments. Have a look at any of the reviews of popular books, and you will see discussions where others have either agreed or disagreed with a particular review. Sometimes these can become bitter, but at other times they can bring about genuine change of opinion. And, of course, for a potential reader, they can provide more information about the book. This is merely an electronic version of something that has been happening for years and years, quite possibly since the invention of the printing press. If we have an opinion on something, we are likely to share that with our friends. So if we have read a book that kept us up all night because we couldn’t bear to put it down, we’ll tell friends about it. If books come up in conversation, we’ll drop the names of current reads, or authors we’ve enjoyed. If a friend starts moaning about a particular book, and we have read it, we can add our own thoughts, either in support of or against their arguments. Sometimes, books can open up conversations with others‌—‌similar reading tastes gives common ground, helping us (especially those of us on the introverted end of the spectrum) overcome any hesitancy in social communication. We can also use quotes‌—‌If I were to quote a line from Douglas Adams or Terry Pratchett, and someone else were to come back with another quote, we instantly have a connection. Sometimes, that can be like being in a secret club, especially if our comments back and forth bring bemused looks from others. And this leads on to another social aspect of reading‌—‌the book club. A few people meet regularly, all having read the same book, and they discuss, sharing their viewpoints and so on. The book club has adapted to the digital world, too, with sites like Goodreads. If you’re serious about reading, it’s worth checking out. There are reviews, of course, but also discussions in forums on many different aspects of reading and books, as well as quizzes and reading challenges. Reading might be a solitary activity, but having read opens up social interaction. And this is obvious, when you consider that the written word is a means of communication, and that story-telling has always been one of the greatest forms of social contact. So I will keep on reading in solitude, but I will share that experience through talking and through reviews. And I will continue to write in my own little space, but I will present those stories in the best way I can, and I will share them with others.